Comparison website, Finder, carried out a survey of 2,000 adults to investigate the diet routines of UK consumers. 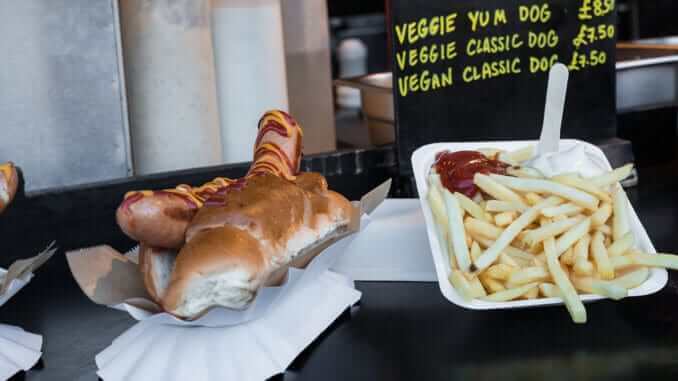 The results of their findings suggest that veganism will be the most popular newly adopted diet in 2019, with a reported 2.2 million Brits intending to convert to a vegan lifestyle. This would see the total number of vegans increase by 327 percent, to a total of 2.9 million people. The survey states that, at present, 88% of the UK’s population consume meat. Of the meat-free diets, vegetarians are the most common (7%), followed by pescatarians (4%) and vegans (1%). This means around 6.5 million British adults are currently eating meat-free. A reported 2.2 million said that they intend to adopt veganism before 2020, which would mean that the total number of vegans in the UK would increase by 327%, to a total of 2.9 million people. ”With the rise of vegan-friendly products such as Greggs’ vegan sausage roll, it’s important to be savvy and shop around to make sure you’re getting the best prices. Like any diet, there are ways to avoid falling into traps with overpriced specialty products. A little bit of research and intuitiveness in the kitchen can go a long way. It will also be worth keeping an eye on how Brexit may impact the price of food that we import into the UK”, said Jon Ostler, UK CEO at finder.com.